Tired of rejection letters and fed up of waiting for someone else to produce her work, Kimberley Andrews decided to bite the bullet and bring her own writing to the stage. But where to start? In the first of an eight part series, she relates the trials and torments of self-producing, sharing her Dos and Don’ts for organising a show without losing your sanity. Like most playwrights, I have spent many a long hour perfecting an unsolicited submission for a theatre. I’ve laboured over cover letters, cringed at my biography and grappled with a 200 word synopsis that stubbornly remains at 236 words even if I delete an essential part of the plot. I’ve then played the obligatory waiting game (obsessively checking my inbox at 4am in case the literary manager happens to be nocturnal) only to eventually receive a bog-standard ‘thanks but no thanks’ and the said script gets laid to rest in the cemetery that is ‘my documents’, never to see the light of day again. This is not to say that I don’t keep submitting in the hope that one day a bidding war will take place between the Royal Court and the Bush over my latest play. However, in the meantime, I am left with the issue of how the hell am I going to get my work seen? Romantic as it might seem to needlessly print off a script and leave it to decay in the back of a drawer to be found after my death, that’s not why I write plays. I write plays for them to be performed. I need to see my work on stage every now and then to know that I’ve chosen the right career and that the perpetual financial insecurity is worth it. I need to see my mistakes in all their glory, cringe when dialogue is out-of-place and rejoice when an audience laughs at my jokes. With this in mind, I decided to take the bull by the horns and start producing my own work. If Facebook was anything to go by, this would be fairly easy; I just needed a fancy promotional picture for my show and a commitment to bombarding my friends with invitations. How hard could it be…? The first decision I had to make was, what, out of all the masterpieces decaying in the back of my metaphorical chest of drawers, should I produce? 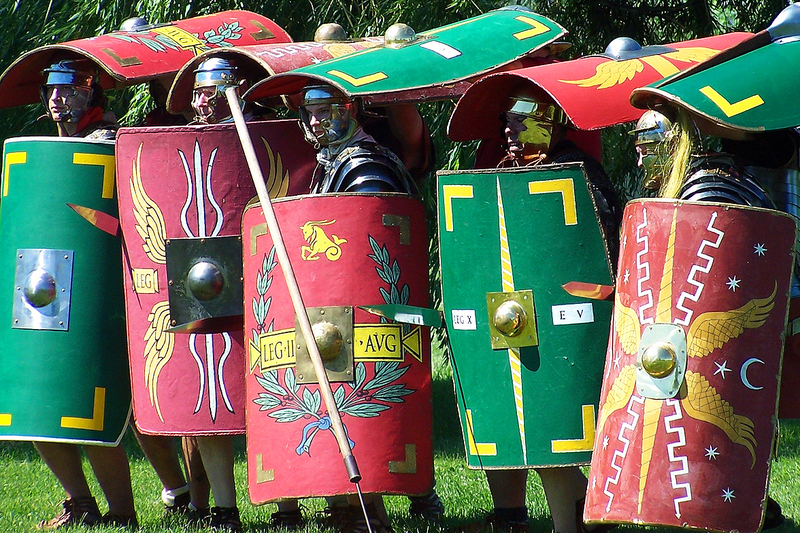 Should I go for that 3 hour epic with a cast of 82 Roman soldiers*, all requiring highly authentic costumes? Or what about a national tour of that first ever play, the one my Mum thought was ace? 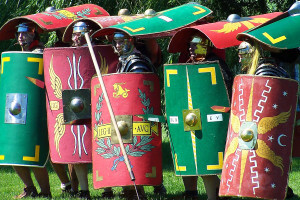 (*Ok, you’ve got me, I haven’t really written an epic roman play with a cast of 82, which is lucky because don’t think my papier-mache skills would stretch to body armour). After conducting some in-depth research (i.e. quizzing a few of my friends who were already producing work), I quickly concluded that if I wanted my first project to be a success, I would need to keep it manageable. This to someone with no experience, a pitiful budget and hardly any spare time meant keeping things small. (Oh, and producing work that someone other than your Mum thinks is half decent is a good move too, apparently). At this point, I remembered that folder marked ‘sketches’ lurking on my desktop begging for liberation. Using sketches (or indeed short scenes if you’re not very funny), has some advantages for the novice producer. Firstly, the task of writing them, polishing them and making them bloody brilliant, is much smaller than doing the same with a full length play. Secondly, you’ll be asking much less of the actors and director, which is handy if you’re asking them to work for free, which I was. Thirdly, many venues offer one-off performance slots for sketches, reducing the financial risk. And finally, you can always ask other people to contribute material, which takes the pressure off and allows you to get to grips with learning about what it is that producers actually do. Speaking of asking others to contribute, it is tempting to try to take on the whole project singlehandedly. I quite liked the idea of putting on a spectacular show all by myself and taking all the glory for it, who wouldn’t? However, I can’t stress how valuable it was to collaborate, delegate and basically beg for help from just about everyone I knew. Getting my mates to contribute sketches and handing my script over to a director really allowed me to sink my teeth in to the task of producing, which I soon discovered was a huge job in itself. Ultimately, this is how it works in real-life: when the winner of that bidding war finally gets their gleeful mitts on your script, you’ll be handing it over to directors, producers, casting directors and your main job will be to sit back, relax and feel smug. Do produce your best work. If you haven’t shown it to anyone, get some feedback (either by joining a writers group, doing a course or asking a brutally honest friend). Don’t be overly ambitious with your project. Keeping it all manageable allows you to find your feet and make sure it’s good. Do delegate and call in favours wherever possible, you’ll thank yourself later. Don’t wing it. Have a plan from the very beginning. 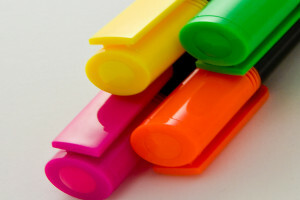 Treat yourself to some new highlighter pens and be organised. In the next post, I’ll be looking at how to find the perfect venue and what to ask the theatre to ensure you’re getting a good deal. A no-brainer. 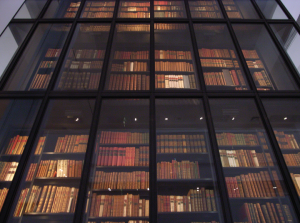 As a deposit library, the BL has access to copies of every book ever published in the UK, plays included. Just order the texts you want to read from their online catalogue, and a few hours later they’ll be waiting for you at the service desk. The British Library. Image by Steve Cadman. You have to get a Reader’s Pass to use the Library, which is free, but requires you to justify why you need to use their resources. If you’re interested in researching a topic related to your job or studies, this will usually do. Getting a pass can seem a little daunting, but the staff are friendly and if you can get one it’s absolutely worth the effort. You won’t be able to take books home, but with reading rooms as beautiful as this you won’t want to. 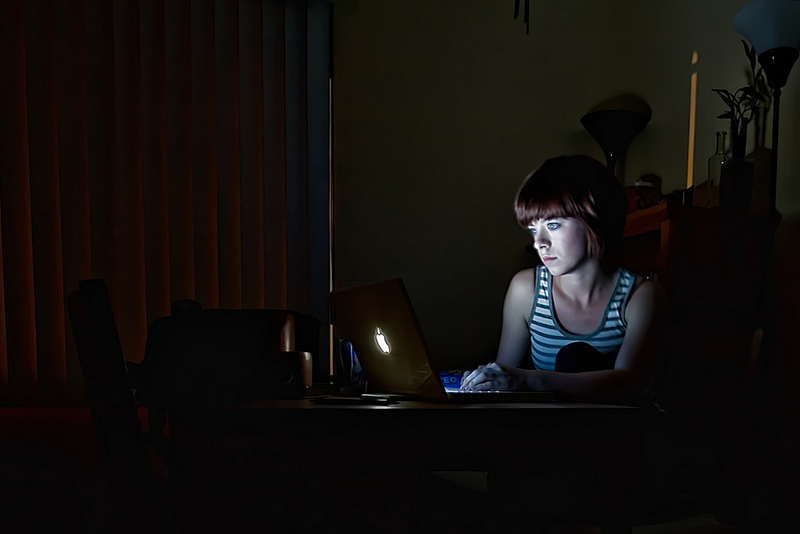 Plus, it’s open late on weeknights, so you can go after work for some quality study time. If you can’t get into the British Library, you might want to try this West End library as an alternative. They specialise in the performing arts, and the collection includes an extensive collection of classic play texts, as well as up-to-date copies of all the major contact directories for agents, theatres and production companies. Membership is free to anyone who lives in the UK. Plus, they have a Sherlock Holmes collection. It’s win-win. Snuggled up to The Old Vic in Waterloo is the National Theatre Studio, where the UK’s largest theatre develops its new projects and meticulously archives its old ones. You’ll need to make an appointment to access the archive, but it’s free and open to anyone. As well as reading a production’s prompt script, you can peek at the margin annotations, browse the designers’ sketches, and sometimes even watch recordings of final performances. Well worth it if you want to study a particular play in depth. New writing theatres are desperate for people to help them churn through their stacks of unsolicited script submissions. Drop their literary department a line and ask if they’re looking for any readers. A lot of the scripts you’ll get won’t be much good, but some of them will – and you shouldn’t underestimate what you can learn from your peers’ work, both good and bad. This is a great way to expose yourself to the coal face of new writing, and keep an eye on contemporary trends. Plus, you’ll get first hand experience of how a literary department works, and possibly make some great contacts. Meeting once a month in the basement of an occult bookshop in Bloomsbury, the Shakespeare Readers’ Society celebrate the joy of reading the bard’s work out loud. Parts are doled out on a sign-up sheet, but whether you’re a lead part or a cameo, there’s nothing like getting your head back into the classics and hearing some of the best work ever written being read aloud. When it’s over, pop £3 into the room hire tin and retire to the pub across the road to discuss the play. 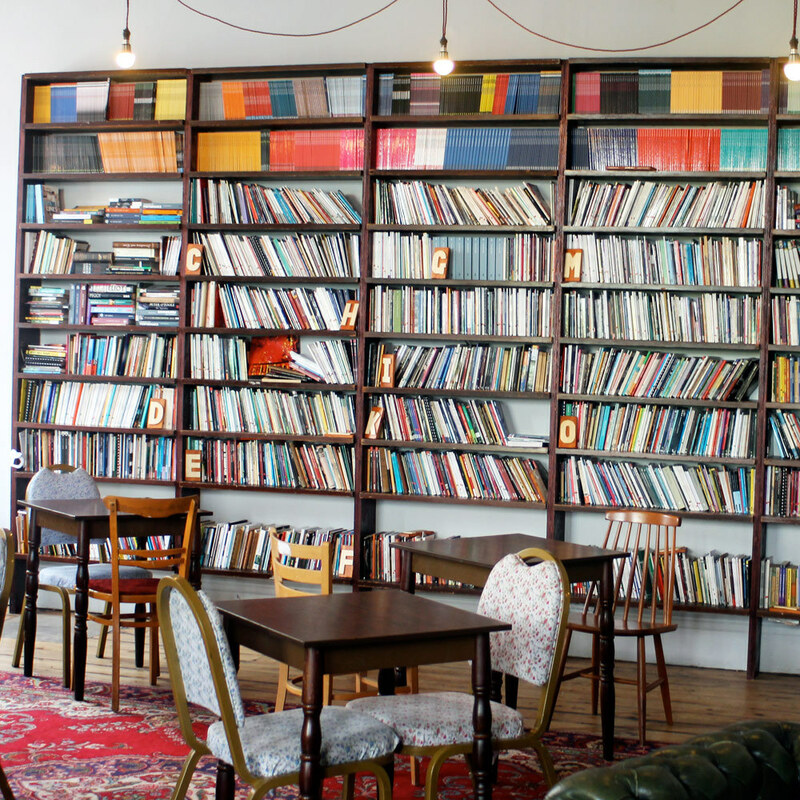 If the classics aren’t your thing, you can always try one of London’s many other established play-reading groups. One of the best is the Actors & Writers’ Forum, who meet once a fortnight at Hammersmith’s Riverside Studios for rehearsed readings of new plays and a subsequent Q&A. It’ll cost you £5 on the door, or there’s a membership scheme for £10 a year, which also allows you to submit your own scripts for a possible reading. But if this doesn’t take your fancy, scour meetup.com for an alternative, or use it to start one in your own neighbourhood. If you like hearing work read aloud, this is a great way to see what some of your fellow writers are getting up to, and possibly make some new friends. 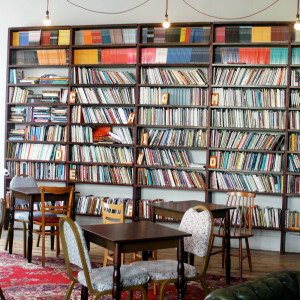 Curl up with a cappuccino and browse the Bush Theatre’s wall of play texts – it’s not a huge collection but in the comfy surrounds of the old Shepherd’s Bush Library it’s a great place to kill some time before catching the evening show. Download copies of some of the BBC’s best comedy and drama scripts absolutely free. Yes, it’s not theatre, but don’t be a snob – you can still learn an awful lot about structure, character and style from these top-notch scripts: especially their collection of radio plays. If you can’t find what you’re looking for at a public library, you might want to try London’s many drama schools, which stock a whopping number of modern and classic plays. Some require you to pay a fee, like RADA, and some won’t let the public in at all – but access is usually free to staff, students and alumni – and if you know someone with a card it’s well worth asking if they’ll borrow something for you. We’re not suggesting you spend all day here reading plays from cover to cover, but browsing a bookshop can be a great way to get the flavour of different writers’ work, to contrast a few different styles and make an informed purchase of a text you’ll want to read in more depth later. 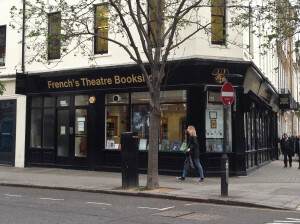 Samuel French has a more extensive collection of plays than almost any bookshop in London – but the National Theatre and Royal Court bookshops are also worth a punt. 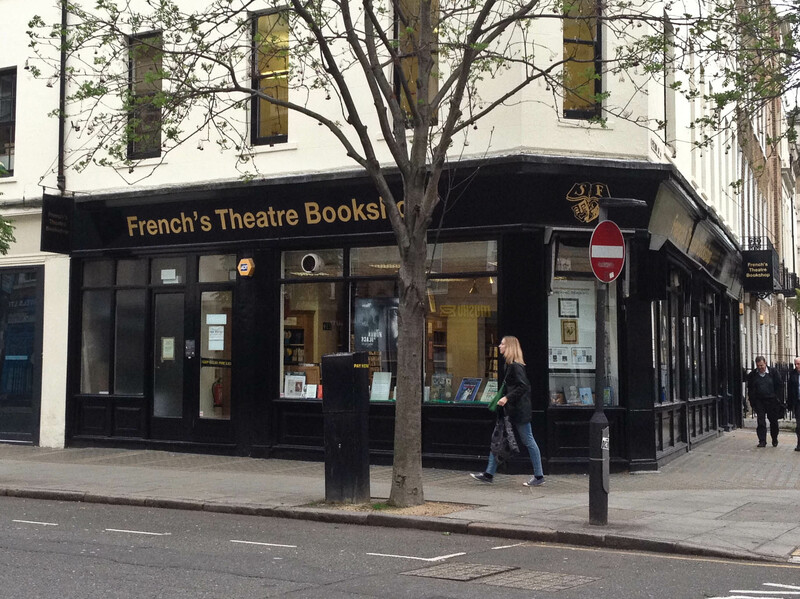 What’s your favourite place to read plays in London? Recommend something for us in the comments and we’ll go and check it out.